How to choose Web Scraping Service? Web scraping services are one of the most important tools that can prove very useful for the organizations which have just started the business and have entered the market. 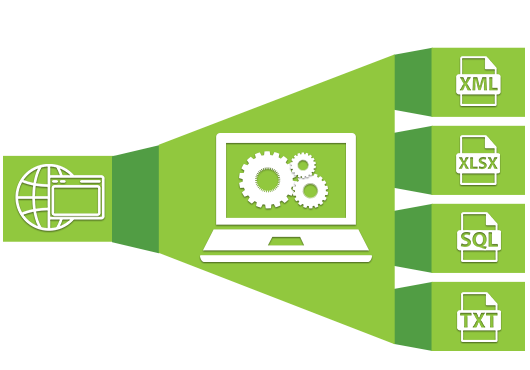 There are different aspects which have to be taken care of while selecting a proper web scraping service. This is because designing a web scraping service is a difficult job. There are different websites that do not allow the scraping mechanism and are protected. Also, the tools should be flexible and easy to use. Thus, while an organization is selecting the web scraping service, following points should be kept in mind. time, the website may not be developed fully and thus require the low amount of resources. But, as and when the traffic on the website increases and the data on the website is grown, the work done by the software will be more. Thus, always keep in mind the flexibility of the software. It should not crash or disable even if the data on the website is more. The pricing structure is an important thing that has to keep before finalizing the software service. There are many different service providers in the market that provide you with the web scraping tools. These services providers have a wide range of prices depending on what kind of software you are choosing. It is important to see if the pricing is transparent. This software gives you accurate information and the filtration of data takes place based on the efficiency of the software. If the software is more efficient, you will have to pay more but the increased cost has to be well explained. The leading websites are equipped with the anti-scraping tool. This anti-scraping tool means that when your software tries to extract data from that website, it will fail. The anti-scraping mechanism will not allow the data to be extracted and collected by some third party application which is not trusted. This will make your software useless. So, always check if the software can bypass the anti-scraping mechanism of the website to collect the data. After sales service is the most important once you buy any product. Moreover, even if the software is easy to use but there are times when the software crashes or has a glitch and it has to be solved. This is when customer support is very much required. Whenever a software has a glitch, it cannot deliver the required results and provide with inaccurate data. Even when the software crashes, there are troubleshooting steps which are to be performed so that the software is running again. A good customer support will keep you assured and will help the organization to run smoothly. There are numerous web scraping tools provided by many different companies. The important part is that it should be efficient and scalable. Along with that, the software company should be reliable and should have proper backend support.